John Danaher is becoming a bit of an Instagram celebrity. 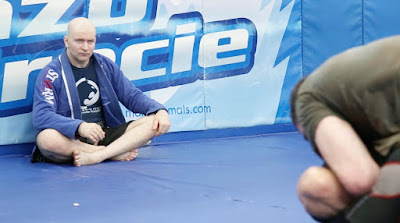 The cerebral figurehead of the Danaher Death Squad has become widely known for his labored breakdowns of his students matches, meditations on technique and even the occasional jiu-jitsu meme. Over the weekend Danaher turned his watchful eye to this weekend's Gracie Pro main event; Roger Gracie vs Marcus Almeida. The master analyst could not have been more excited to see such a match be put together in the birthplace of Brazilian Jiu-Jitsu. Renzo Gracie, who has become Roger's mentor, awarded Danaher his black belt in 2002, and he has since created tight bonds with the Gracie family. Although Danaher gave the edge in competition to Buchecha it was clear whom he was rooting for. The most anticipated rematch of all time is finally about to happen! Marcus 'Buchecha' Almeida and Roger Gracie will take to the mat to settle the score in a titanic heavyweight clash.